Imagine a robot vacuum that not only remembers a home’s floor plan and cleans specific rooms by name – but also automatically empties itself. 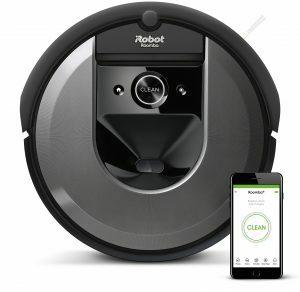 iRobot Corp. (NASDAQ: IRBT), the leader in consumer robots, today announced availability of the Roomba® i7+ robot vacuum with Clean Base™ Automatic Dirt Disposal in India. The Roomba i7+ brings a new level of intelligence and automation to robotic vacuum cleaners with the ability to learn, map and adapt to a home’s floor plan. Introducing Imprint™ Smart Mapping, the Roomba i7+ remembers multiple floor plans and room names so users can customise cleaning jobs and direct the robot to clean specific rooms by voice or via the iRobot HOME App. When the Roomba i7+ robot vacuum is finished cleaning, it empties its own dust bin into the Clean Base™, which holds 30 bins of dirt, allowing customers to forget about vacuuming for weeks at a time.This enhances the customer experience by eliminating the dusty and dirty mess often associated with emptying vacuum canisters. Ushering in a new era of consumer robots, the Roomba i7+ allows customers to clean specific rooms in the home. Using Imprint™ Smart Mapping, the Roomba i7+ gets to know the home’s floor plan, giving customers total control to choose which rooms are cleaned and when. The robot learns every room – remembering up to 10 different floor plans – so users can carry their robot to another floor or a separate home, where the robot will recognise its location and clean as instructed. iRobot’s patented iAdapt® 3.0 Navigation with vSLAM® technology helps the Roomba i7+ seamlessly and efficiently navigate the home by keeping track of where it’s been and where it has yet to clean. The Roomba i7+ also adapts to changing home environments, so it always knows the best way to clean. The Roomba i7+ works with Alexa™ enabled devices, and is the only robot vacuum that lets users clean specific rooms by name with a voice command1. For example, just say, “Alexa, ask Roomba to clean my kitchen,” and the Roomba i7+ will efficiently find its way to the appropriate room to clean. Once finished, the robot will return to its base to charge and automatically empty its contents when paired with the Clean Base™ Automatic Dirt Disposal. iRobot is the only leading robot vacuum brand with robots that have two Multi-Surface Rubber Brushes that work together to effectively clean both carpets and hard floors. The Roomba i7+ robot will automatically adjust the height of the cleaning head so the two brushes can directly engage with the floor. One brush loosens and agitates dirt and the other moves in the opposite direction to extract and pull dirt in. And instead of bristles, which can bend and miss dirt, the flexible rubber brushes hug the floor to clean everything from small particles, like dust and dirt, to hair and large debris. Featuring a low-profile design to clean under furniture and along toe kicks, the Roomba i7+ Roomba robot uses a High-Efficiency Filter to capture 99 percent of pollen, mold, dust mites, and cat and dog allergens. Leveraging Dirt Detect™ Technology – an iRobot patented feature – the Roomba i7+ is always looking for the places that need the most attention. Sensors in the robot recognize particularly dirty areas, such as sand near a doorway entrance, and prompt the robot to clean them more thoroughly. Once the Roomba i7+ robot is finished cleaning, users can view Clean Map™ reports in the iRobot HOME App to see where the robot cleaned and other details. The Roomba i7 robot vacuum will beavailablein Indiabeginning Friday, 21February, with a suggested starting price point of Rs 69,900. 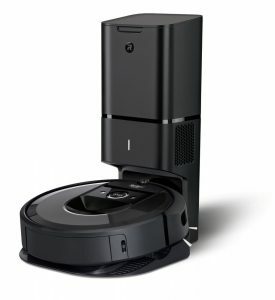 The Roomba i7+ robot vacuum will also be available for purchase along with the Clean Base™, at Rs. 89,900.The Clean Base™ Automatic Dirt Disposal sold separately to those who have purchased i7 will retail fromRs.37, 900.Additional Dirt Disposal Bags will be made available starting atRs.1, 690for a pack of three bags.